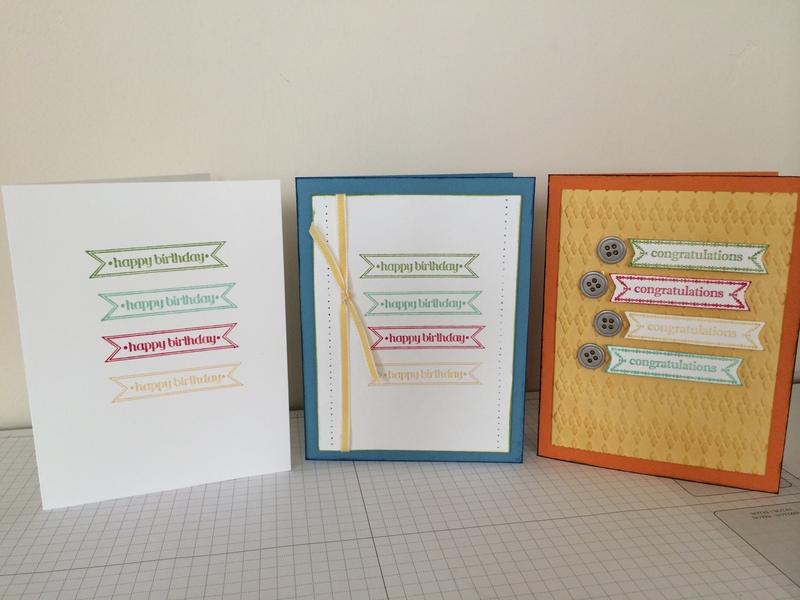 In a previous post, I showed you a card from the catalog and a card I made that used a similar layout. I decided to use the same catalog sample for more inspiration. I decided to make some more cards with a similar layout. 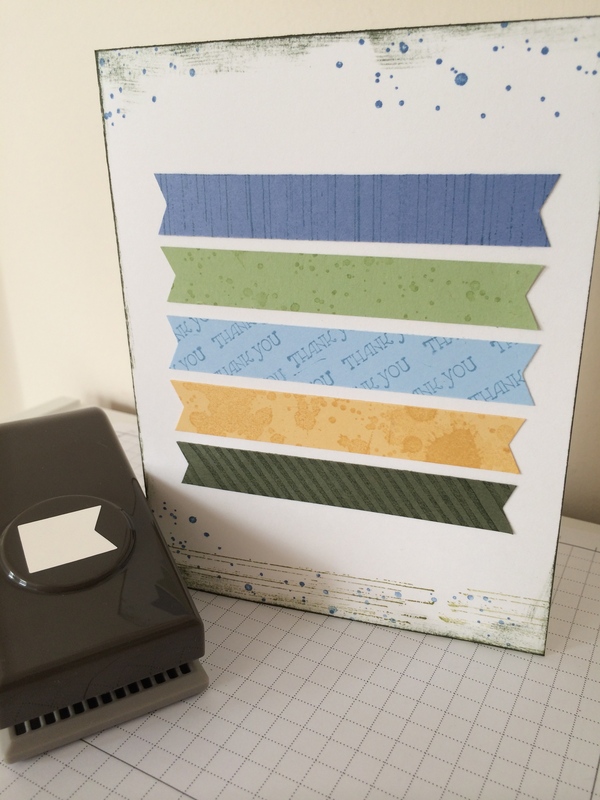 This time I used the Itty Bitty Banners Stamp Set. I made the first card super simple. I dressed up the next one a bit by adding a layer, some piercing, and a ribbon. 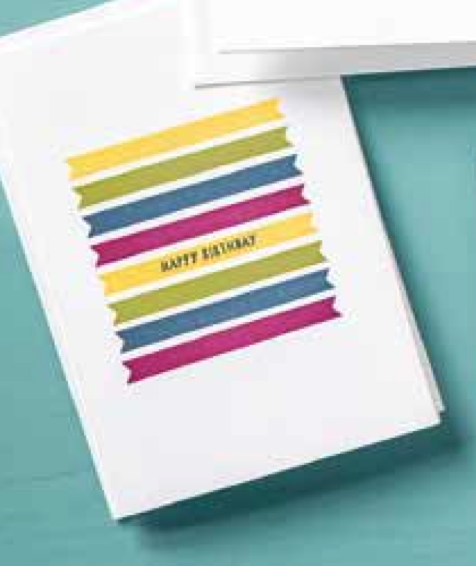 The 3rd card is dressed up a little more. The the saffron layer is dry embossed and sponged with ink, the banners were cut out and layered. I love these metal buttons for a less feminine embellishment.